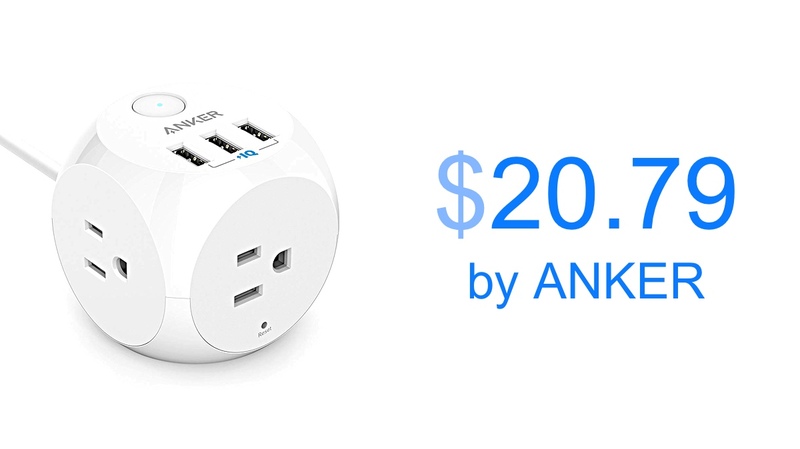 ANKER has a hot deal on its unique PowerPort Cube which features a 3 AC outlets as well as 3 USB ports for charging your mobile devices. Or maybe not just mobile devices only. Having a dedicated charger to juice up your wares is an obvious route to take these days. 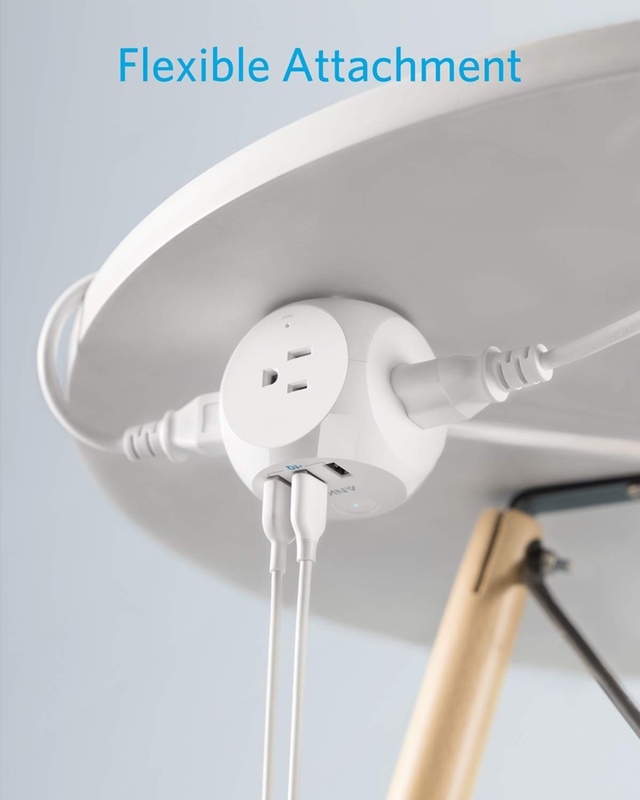 But there are unique products out there that do the charging bit and go a mile further by incorporating extra features such as the inclusion of AC outlets. That’s what the ANKER PowerPort Cube is, essentially a power strip with USB ports. The most obvious use for this sort of product is charging up mobile devices. But of course, you can go beyond that by hooking it up with your GoPro, a pocket drone like the DJI Spark, a wireless charger, or take the Rambo route by plugging in a full-blown USB PD charger into it so you can charge up your MacBook Pro at full speed using one of the three AC ports. PowerPort Cube does not keep you on a leash by limiting you to just plain USB ports for charging. 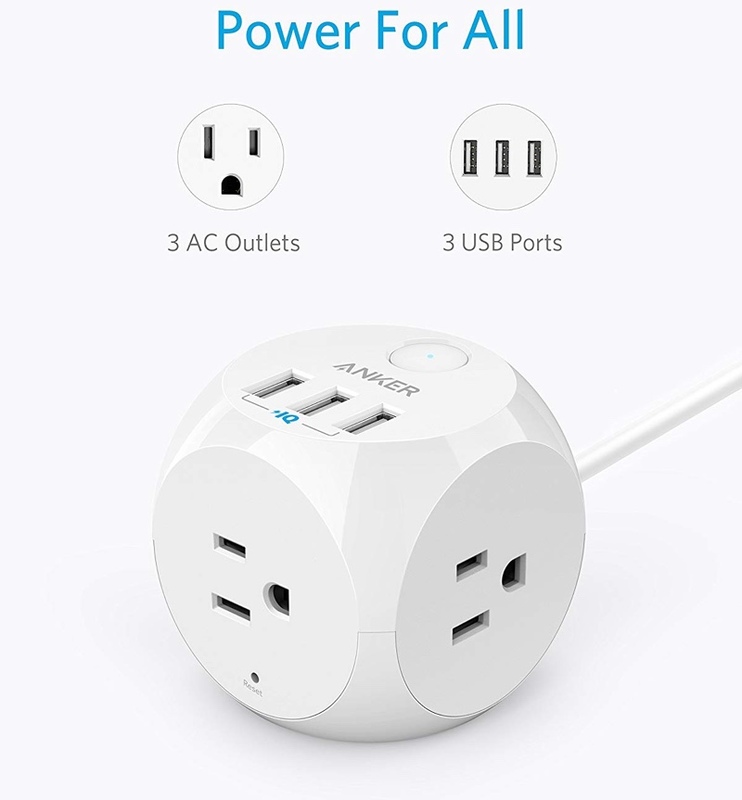 With the inclusion of 3 AC outlets, you can expand on your charging and power game anyway you like. Maybe even hook up a mini fridge to this bad boy while you are at it. Those USB ports which we talked about are backed up by ANKER’s PowerIQ tech, meaning that they will detect the device that is connected via USB, and will deliver the fastest, safest charge which the device can accept up to 12W, or 5V/2.4A. If you are interested, you can grab the PowerPort Cube from the link below. Remember to enter the special discount code in order to bring the price down to even more reasonable $20.79. You can even clip the on-page coupon code to get an extra $2 off the asking price.